The benefits of osteopathy are the general improvement in mobility, structural stability and to deliver a more balanced body (the musculoskeletal framework, ligaments of visceral organs, spine and cranial system). In turn, other systems of the body such as the circulatory, nervous and lymphatic systems function more effectively. This combined with good dietary and exercise prescription can enhance a patient's well being. If you ignore the signs of pain (e.g., back pain), this can develop into other forms of referred pain around the body, such as leg, shoulder or neck pain. Longer term this can have deep psychological ramifications which makes it harder for a patient to accept recovery as an achievable goal and like most long term health conditions can lead to depression. • High Velocity/Low Amplitude (HVLA) /Thrust. Mobilization with impulse treatment directed at improving joint motion. • Muscle Energy. Directed patient action from a precisely controlled position against a defined resistance by the osteopath. • Counterstrain (CS). Administered by applying a position of mild strain in the direction exactly opposite that of the strain reflex; involves a focal tender point and the positioning the patient to maximal comfort to achieve the desired therapeutic response. • Myofascial Release/Soft Tissue Techniques (MFR). Directed toward tissues other than skeletal or arthrodial elements; usually involves lateral stretching, linear stretching, deep pressure, traction and/or separation of muscle origin and insertion while monitoring tissues response and motion changes by palpation. • Visceral manipulations. Directed with gentle stretching, pressure or traction toward ligaments of the visceral organs bearing neurovascular bundles. Osteopath uses visceral manipulation to treat organs and viscera of the body, including lungs, heart, liver, spleen, kidneys, stomach, pancreas, intestines, bladder, uterus. • Lymphatic Pump. Directed at altering intrathoracic pressure to influence lymphatic movement. • Cranial Treatment (CR). Typically a gentle approach to the head for evaluating structure and balancing cranial membranous tension. 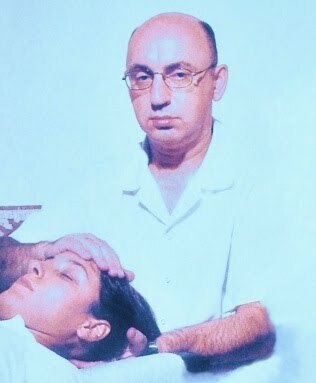 Osteopath uses this gentle technique to assess and treat the mobility of the skull and its contents. He may also to use it to assess and treat the spine, the sacrum, and other parts of the body.